South Texas College will be a global model in educational innovation serving as a catalyst to drive regional prosperity, economic development, and the social mobility of those we serve. 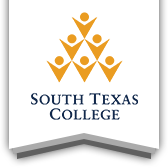 South Texas College is a public institution of higher education that provides educational opportunities through excellence in teaching and learning, workforce development, cultural enrichment, community service, and regional and global collaborations. Student Success: We are committed to the personal, academic and career goals of each student. Excellence: We are committed to excellence and innovation in teaching, learning, and services. Opportunity: We are committed to providing access and support for students to achieve their academic and career goals. Community: We are committed to equitable results through inclusion, diversity, collaboration, and engagement. Integrity: We are committed to being respectful, professional, honest, accountable, and transparent.